The final episode in the “Mother of All Major Scale Exercises” series is here. (Check out Part 1, Part 2, and Part 3 first.) Part 4 combines parts 2 and 3, moving through the Cycle of Fourths with every position shift, but limiting each position to two adjacent strings. If you’ve followed the first three parts of this exercise, this is the logical missing link. The sequence is designed to give you a new challenge after you conquer each step. If you’re new to this, Part 1 will obviously give you the most immediate improvements, but try to hold off moving to the next step until the one you’re working on starts becoming a no-brainer. In the video above, I demonstrate today’s exercise on strings 3 and 4, stopping about 20% in. To finish, continue the pattern until you’ve gone up and down the neck 12 times. G major will be at the lowest position on your final ascent. Then repeat the routine on the other four string pairs. 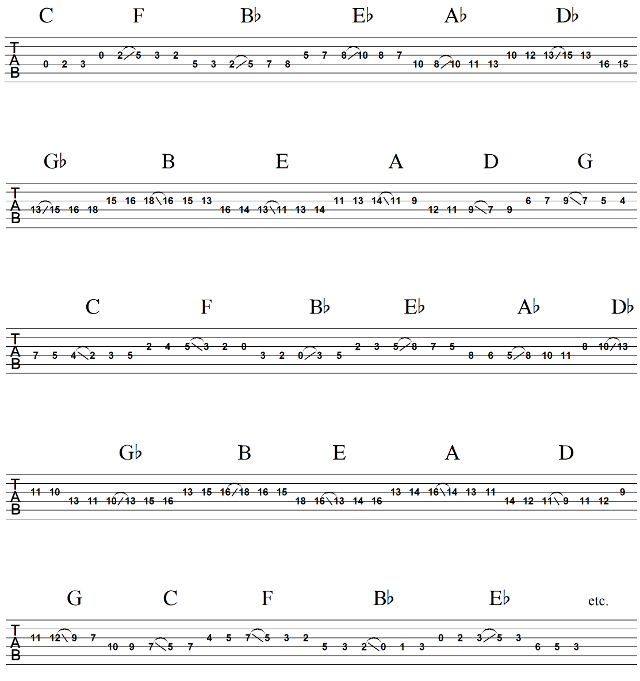 Below is tablature for the section I demonstrate in the video. Click the image for a printable PDF! The four videos in this series are the first video lessons I’ve ever recorded. I plan to do many more, most of which won’t be so advanced and mentally draining. 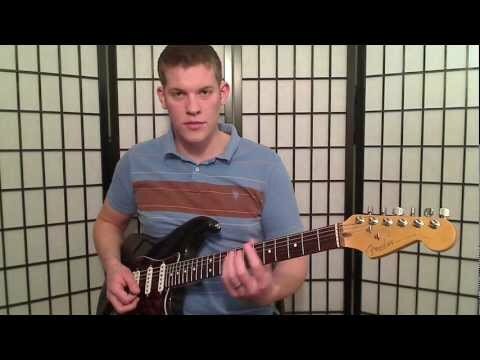 Please subscribe to my YouTube channel, JoeWalkerGuitar, and let me know in a comment below if there’s a topic you’d like to see me cover.